Some people have a disgust for holiday packing and they prefer throwing anything they can find in their suitcase because they'll somehow manage to put an outfit together when they're traveling. That's not me, though. I like to plan ahead when it comes to holiday outfits and getting dressed in general. There's nothing that stresses me out more than not being able to find pieces that fit together when I'm in a hurry. I prefer spending more time eating my breakfast and enjoying the view than diving into my suitcase and not being able to find a proper outfit. 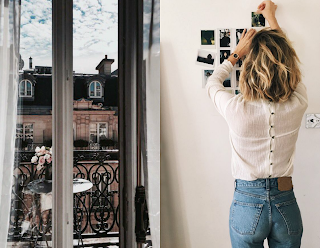 First things first: the basics. My mum always used to tell me not to forget my underwear, pj's and socks (I forgot to take underwear with me twice when I was a little kid). I thankfully no longer forget to pack these things. Just a quick tip: always take 2 more pieces of underwear with you, just in case! I always like to pack two dresses for a night out or for sunny days. Trousers are a basic in your suitcase because you don't want chilly legs on a rainy day and you're not always allowed to wear shorts or dresses depending on the country you're visiting. 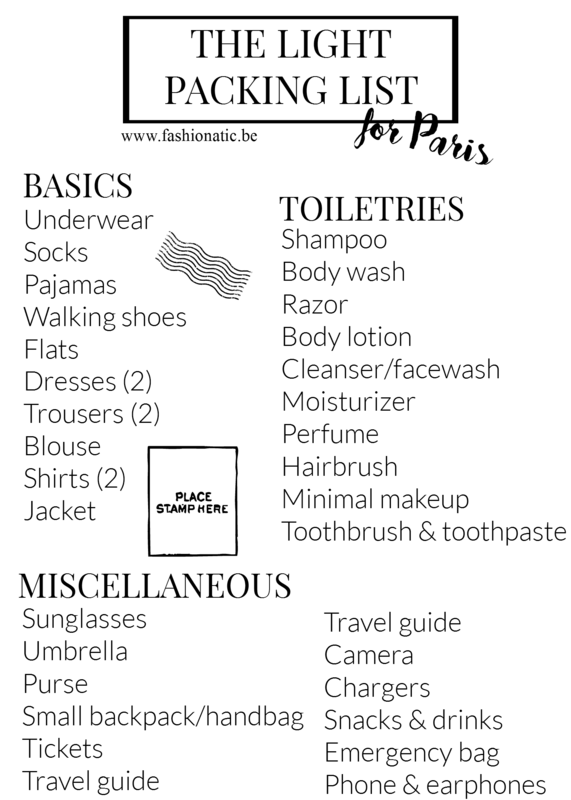 I didn't add any shorts to the list because I simply don't wear them when I'm visiting Paris. I prefer packing them for beach holidays or I just wear them when I'm home. Packing shoes is always such a hassle to me. My feet always start hurting after a couple of hours so I have to pack more than one pair. I usually take a comfortable pair for walking with me and a more fancy pair to wear when I'm going out for dinner or when I'm not planning on doing a lot of walking. Don't overdo on the toiletries. 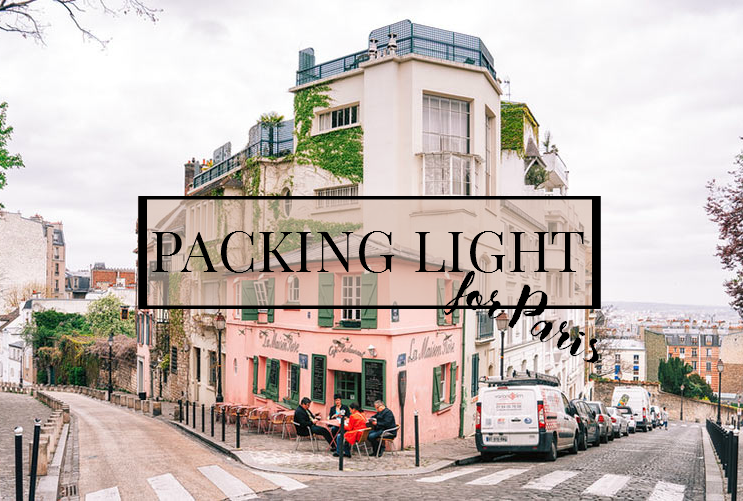 I always tend to take more things with me than I actually need so I definitely need a list when it comes to packing toiletries and bathroom basics. You really don't need three different types of body lotion and one cleanser is usually enough. I pack travel containers because there's no point in taking large bottles of bodywash or shampoo with me. Depending on the country you're traveling to, these items may vary. Since I'm going to Paris, I need to be ready for all weather circumstances. It might be rainy one day and super sunny the next so you never know! As mentioned before, you can find the full list on Pinterest and you can print it out if you want to keep it with you at all times. 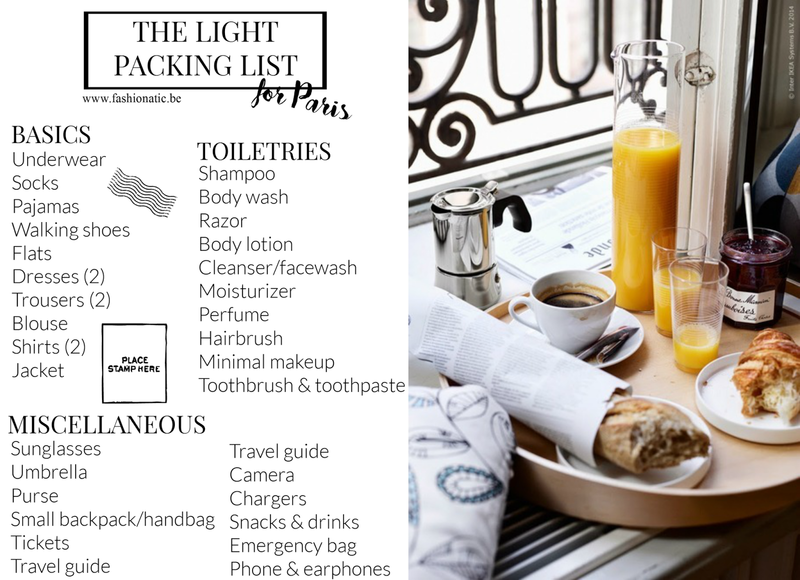 Would you like to see a packing list for longer holidays and what are your travel essentials?